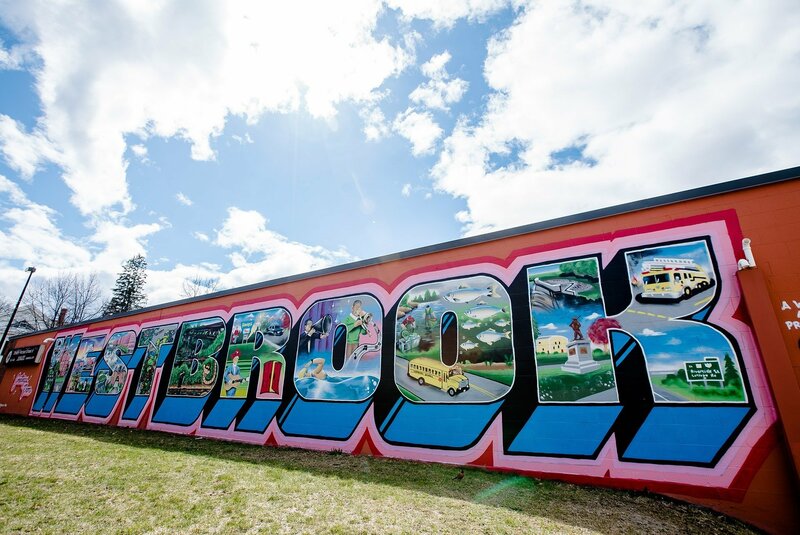 Each letter in the mural has a nod to some of the city's landmarks. 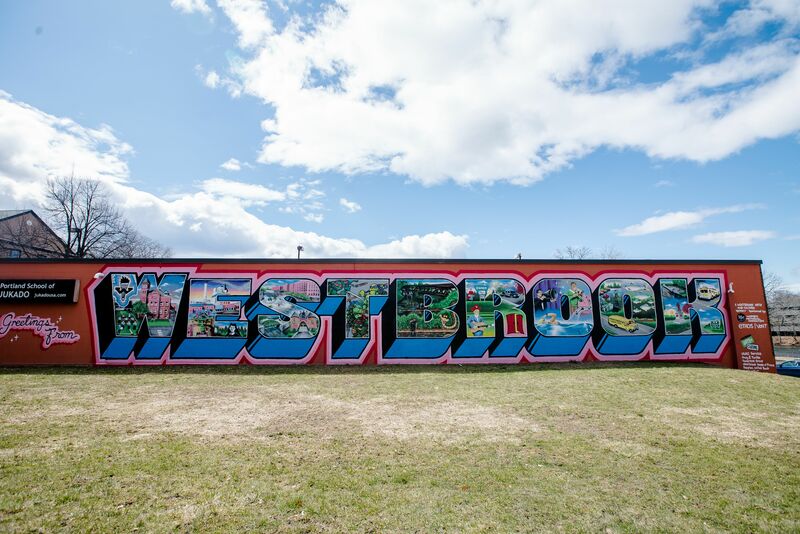 The Westbrook mural celebrates the city’s heritage while creating a prominent piece of public art in the downtown. Location: Near 810 Main Street in Westbrook, Maine. Just across the street from the Walker Memorial Library.